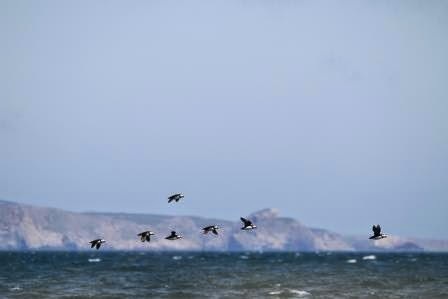 Skomer Island is one of the premier places for biological research in the UK. It also provides some unique opportunities to do some very exciting things. 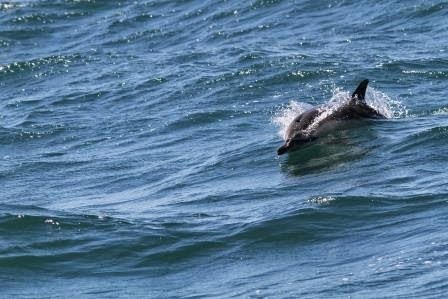 The Wildlife Trust continues it's monitoring of the islands seabirds and some results are given below. Research on Skomer, particularly by Oxford and Sheffield Universities, is at the forefront of conservation and research in the UK and although their tracking work has revealed a lot about the migration of Manx Shearwaters much is still to be learnt about their navigation abilities and the mechanisms that guide them around the globe. Students from Oxford University have been looking at the internal clock of birds and how they use this to 'find their way home'. This involved some displacement experiments (pictures below) and some boat trips to the Celtic Deep 20 miles to the South West of Skomer. The first trip was facilitated by Sash and Lucy Tuca, our massively helpful neighbours at Martin's Haven, the second by Dale Sailing and the third by the sailing clipper 'Ezra'. 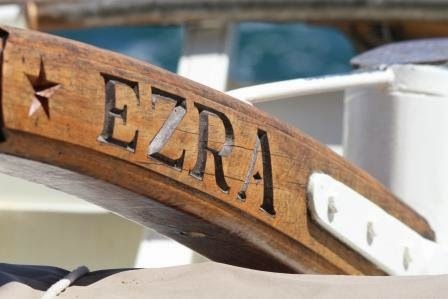 The tiller of our supporting vessel the 'Ezra'. All of our breeding seabirds, including Puffins, could be seen collecting food for chicks well out to sea. Our seabird counts are almost at an end and some general patterns have definitely formed. Guillemots appear to be up in numbers in line with the general trend over the last 30 or 40 years. Razorbills (as well as Puffins) were hit rather badly by last winters storms and numbers slightly are down on 2013. Kittiwakes are doing a little better than 2013, which was a bad year on Skomer for this species and Fulmars remain stable. More updates on our breeding seabirds will follow in the next few weeks, including how well our Puffins have done this year.